You asked for it, and we listened. Now you can get your fresh produce, milk, bread, meat, and more at Target with FREE Curbside pickup! Order all your kitchen staples at one location and let us do the grocery shopping for you. We’ll notify you when your order is ready and bring it out to your car. Don’t have the Curbside app yet? Download it for free! CNNMoney reporter, Sara Ashley O’Brien covers Curbside shopping. So…what are people buying last-minute? Curbside’s top 10 searches are for LEGO, Star Wars, toys, milk, candy, apple, towels, water, Shopkins, and the Apple Watch. Use Curbside to get your last minute gifts. Here’s to a very merry (stress-free) Christmas and a happy new year! Feeling the holiday shopping crunch? With Christmas less than two weeks away, finding that perfect gift, and making sure it arrives in time, can be stressful. Shoppers braving the stores struggle with crowded aisles, packed parking lots and long lines. Even those doing their shopping online are crunched for time, with online delivery cutoff dates already past or fast approaching. What’s a shopper to do if you still have some gifts on your list? These holiday shopping tips from Good Morning America will help ensure all your gifts arrive in time. Place your Curbside order now through Christmas Eve and you’ll have your gifts for under the tree! Curbside Pickup Now at Westfield Valley Fair Shopping Center! Just in time for the holidays, Curbside is now at Westfield Valley Fair shopping center. Avoid waiting in lines and finding a parking spot this holiday season. Instead, get some time back with Curbside. Download the Curbside app and shop select stores to find the perfect gift for everyone on your list. Let us do the shopping for you and we’ll meet you outside with your order. It’s that easy and completely free, with no mark ups or fees! Plus, starting in mid-December, get free Curbside gift wrapping with your order. Get the free Curbside app now. Order ahead and get your items in about 2 hours. You will find the Curbside pickup location by entering Westfield Valley Fair from Forest Ave. 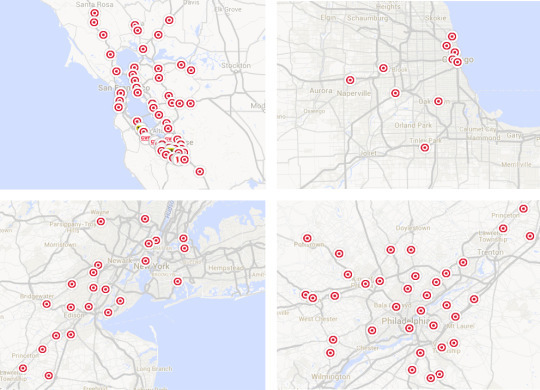 Starting this week, Curbside pickup service expanded to 100 additional Target stores across the US, including the Greater San Francisco Bay area, Philadelphia, Chicago, New York, and New Jersey. Curbside’s expansion to more Target stores comes just in time for the holidays. No more searching the shelves, waiting in checkout lines, or dealing with the hassles of parking. Just order ahead through the free Curbside app, drive up to the store, and we’ll meet you in front of the store with your order. Let Curbside take the stress out of your holiday shopping. To find the store closest to you, download the free Curbside app or visit www.shopcurbside.com/locations . Happy Shopping! 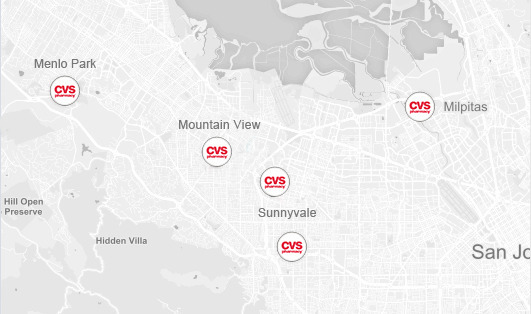 Picking up items from your neighborhood CVS store has never been easier! CVS and Curbside have partnered to bring you all the items you love from CVS with the convenience of Curbside Pickup. No more parking, searching the store, or standing in line. Save time by letting us do the shopping for you. Whether you are looking for beauty products, vitamins, cleaning supplies, baby items or anything in between, we’ve got you covered. Just place your CVS order through the Curbside mobile app and as you pull up to the store, we’ll get a notification and will meet you out front with your order! Best of all…it’s absolutely free! Curbside will initially be available at CVS stores in the South Bay Area, including San Jose, Sunnyvale, Mountain View and Menlo Park. Download the free Curbside app to find the store closest to you. Hello New York and New Jersey! 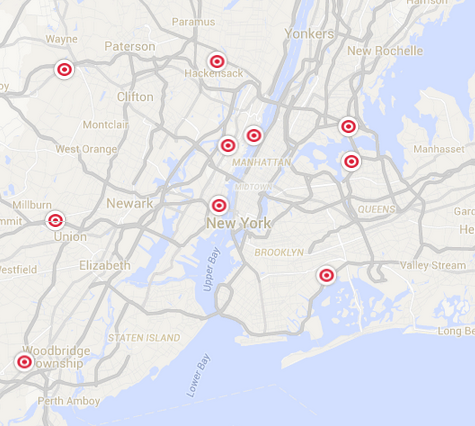 Curbside is now availabe at 10 Target locations in New York and New Jersey! Check out the great new locations below and come visit us! Curbside not yet in your area? Follow us on Facebook and Twitter to be the first to find out about the exciting new locations we’ll be adding soon. 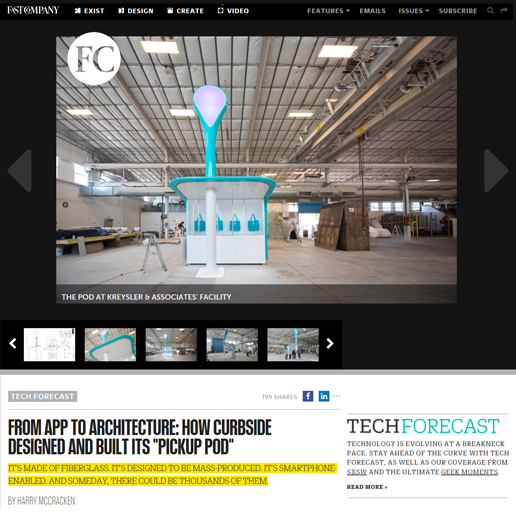 Check out harrymccracken‘s article on our work with Gregg Lynn Form and Kreysler & Associates.